Tell a story with your creative talents! The Diploma of Screen and Media (Specialist Make-up Services) (CUA51015) from TrainSmart Australia helps you cultivate advanced skills in hair and make-up for the stage and screen that let you bring characters to life. Make-up artists have a critical role in the success of the film, television and theatre industries, transforming concepts into three-dimensional characters with the tricks of their trade. This course will teach you specialist make-up techniques for photographic, theatre, period, special effects, film, television and fashion, readying you for the wide variety of work you can expect in your professional life. Learn everything you need to know to kickstart your career in the entertainment industry! The course covers everything from fashion make-up to styling wigs and hairpieces to using silicone and latex to create incredible custom special effects all while giving you practical experience working with people as your canvas. If you're serious about launching your career as a special-effects makeup artist, the industry knowledge and insights provided by TrainSmart's highly experienced, award-winning trainers will give you the confidence and skills you need to get started in the entertainment industry. Whether you’re studying 100% online or on campus, at TrainSmart Australia, you’re not just another number. They value each and every student’s learning journey and strive to ensure it’s a positive one. Each student is assigned a dedicated trainer who will act as a mentor throughout your course, guiding and supporting you every step of the way. Upon successful completion of this course you will receive a Diploma of Screen and Media (Specialist Make-up Services)(CUA51015) from TrainSmart Australia. With the skills gained in this course, you'll be qualified to work as a make-up artist in a wide range of contexts including television, theatre, fashion, film, print, red carpet events and more. The full fee for this course is $15,225. 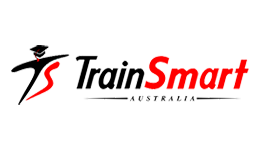 TrainSmart Australia has a range of flexible payment options available including a 24-month interest-free payment plan. Enquire now to find out more about your payment options! Fill out this form and a Study Consultant from TrainSmart Australia	will get back to you.